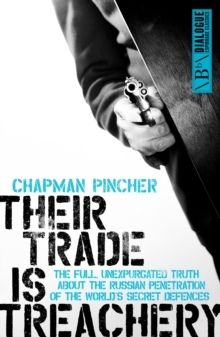 "Can nothing be done to supress or get rid of Mr Chapman Pincher." Harold Macmillan, Prime Minister Harry Chapman Pincher is a legend among journalists. As an investigative reporter, he struck terror into those trying to hide the murky secrets of state. 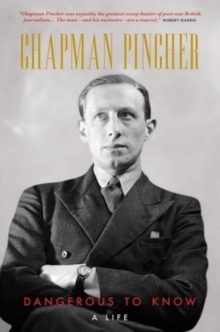 After early careers as a teacher, a scientist and a soldier, Chapman Pincher joined Lord Beaverbrook's then all-powerful Daily Express in the summer of 1945 - and quickly became the master of the journalistic scoop. His first splash, a top-secret account of the development of the atomic bomb, sparked a furious transatlantic row. It was only the start of a career in which his name became synonymous with high-level exclusives from the most secret corners of government. When he finally retired from journalism, the leaks kept coming, leading to a series of best-selling books on the infiltration of Britain's intelligence services by Moscow which culminated in the allegation in Their Trade is Treachery that the head of MI5, was a Soviet spy. Colourful, indiscreet and compelling, this life of a true journalistic colossus also reveals the secret history of the century he bestrode.